Advertisement sign. Lightbox fixture, lamp and snapshot photo from phone. Media contradicts message. An advertisement sign is a most communicative medium, designed to bring across a message as quick and clear as possible. All advertisement signs together form a distinctive language. Surrounded by these signs our brain is cultivated to read the language. 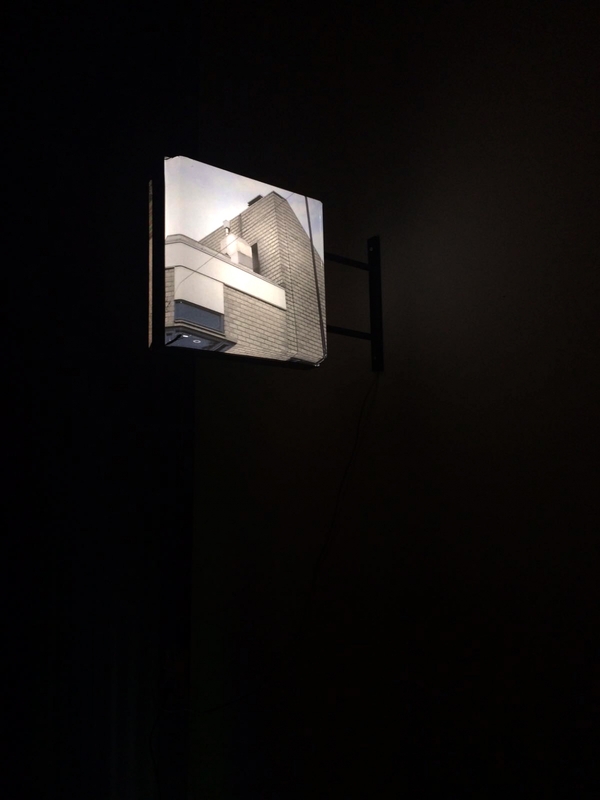 Bart Joachim used a snapshot, a composition of gray brick buildings, from his instagram and turned it into a lightbox advertisement, bringing an introvert message in an extrovert language.